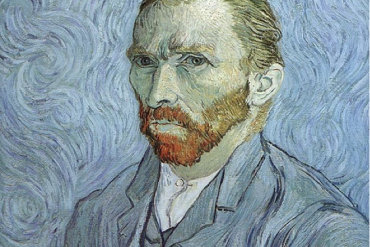 As Pope Francis visits the U.S. – will a famous artist document his portrait? Painters of the Pope – Who will paint Francis? From Rafael to Caravaggio and the modern Michael Triegel, Pope Portraiture marries art and history together forever. As Pope Francis visits the United States for the first time this September, history is made. 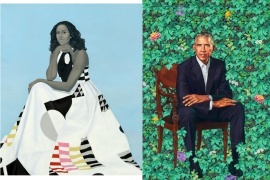 So what’s the big deal about Pope Portraiture? The history of Pope Portraiture has a long and famous history, especially for past artists and even current. Some of the greatest portraits in history are those of past Popes and a sprinkling of current. 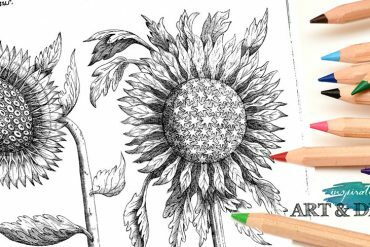 As history illustrates, the period of the Renaissance and baroque from the 15th to 17th centuries brought together some of the most famous popes to the throne of St Peter, along with some of history’s most supreme artists. Fortunately The Vatican was the most lavish patron of Italian art in its golden age, and the Popes led a cultural Renaissance in Papal portraiture. 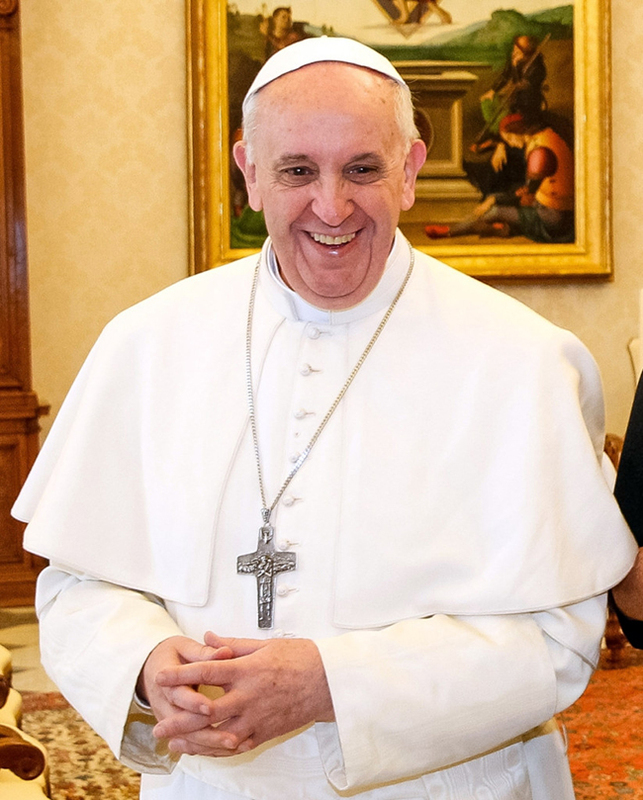 Pope Portraiture is fascinating. And to be selected as the artist who captures that moment in time for generations is a true privilege. “Oh, you are my Raphael!” Pope Benedict XVI cried out, while German artist Michael Triegel was drawing the Holy Father during an audience in Rome. 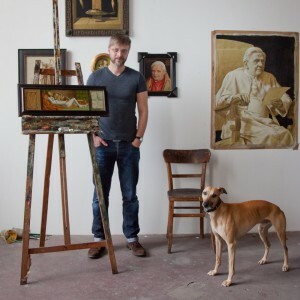 Michael Triegel, a German Artist specializes in landscape sketches, still life’s and portraits, his principally mythological and religious subjects bear witness to his very individual, multi-faceted style that has been compared to the great masters of the Italian Renaissance. 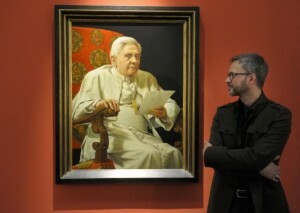 Triegel was first commissioned to paint an official portrait of Pope Benedict in 2009 by the diocese of Regensburg, nearby where the Pope has a home. The artist says he is fascinated by religious subjects. 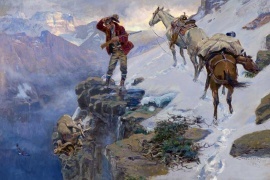 A former student of Arno Rink at the Leipzig Academy of Visual Arts, Triegel is known for his smooth and mannered style. But while his old masterish technique may seem a perfect fit for the Catholic Church, one thing does come as a surprise: the 41-year-old artist is a self-confessed atheist. 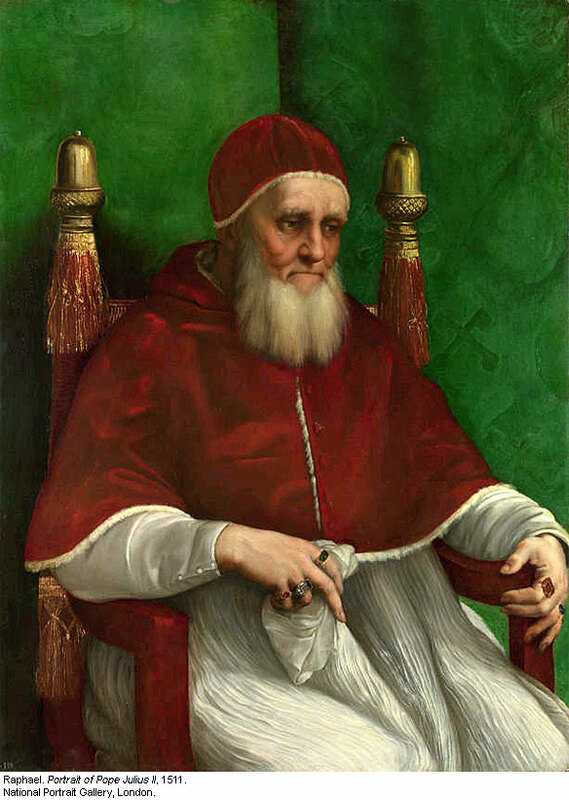 As the Pope did not want an extended sitting for the portrait, Triegel had to gather as much material as he could during his brief papal audience. Ruth Mayer’s painting of the life of the Holy Father, entitled Song of a Beautiful Soul, was commissioned by the Ecclesial Family of Consecrated Life, Miles Jesu. The work was presented to the Holy Father by the artist and her husband in 2004, at the General Audience at the Vatican. The Pope pronounced it accepted with a thumbs up! A few of the famous! 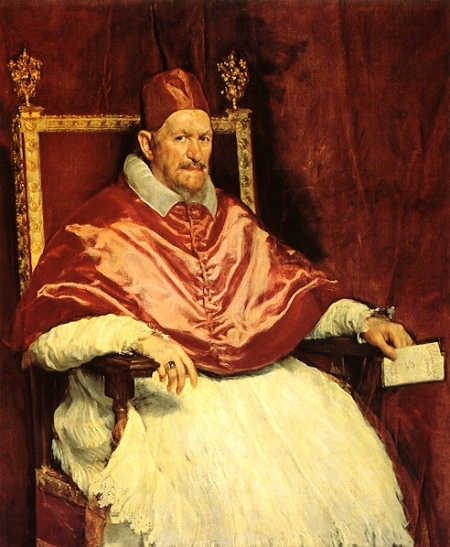 The Portrait of Pope Innocent X is an oil on canvas portrait by the Spanish painter Diego Velázquez, finished during a trip to Italy around 1650. Many artists and art critics consider it the finest portrait ever created. It is housed in the Galleria Doria Pamphilj in Rome. A smaller version is housed in the Metropolitan Museum of Art in New York. 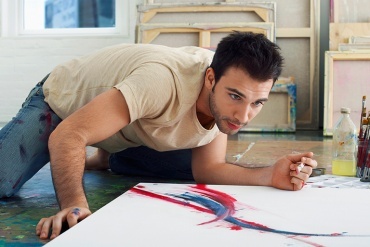 It was no easy task to be selected as the ‘chosen painter’. The Pope allowed Velázquez to paint him because he had already painted with great success other people from the inner papal court, including the Pope’s own barber. 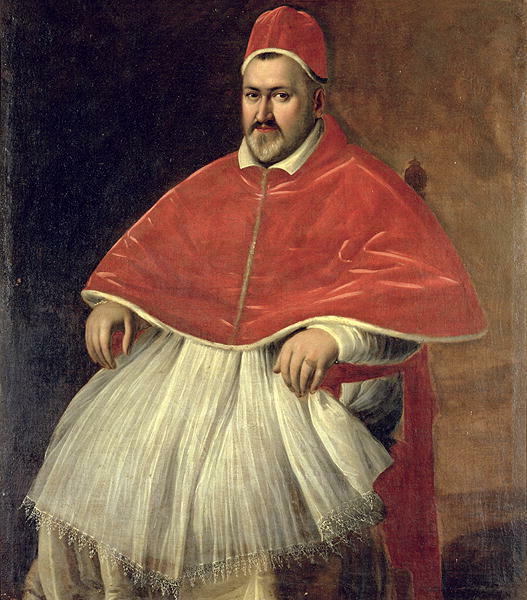 The portrait was kept at private display by Innocent’s family, the Pamphilj, who would display it in the Doria-Pamphilj gallery where it remains to this day. It was a relatively secret masterpiece for much of the 17th and 18th centuries, only known to some connoisseurs who, nonetheless, would inevitably praise the work as one of the finest portraits ever produced. Portrait of Pope Paul V (c. 1605-1606) is a painting by the Italian artist Caravaggio. Many scholars have doubted the authenticity of this painting, considering the composition too uninspired for the artist’s style. But the scholar John Gash in his authoritative (revised) 2003 catalogue of Caravaggio believes the work is genuine, pointing out that the pose would have been beyond the artist’s control – Paul V was noted for his dignified and even taciturn demeanor, and would be unlikely to accept direction. Of interest, Famous while he lived, Caravaggio was forgotten almost immediately after his death, and it was only in the 20th century that his importance to the development of Western art was rediscovered. Raphael was an Italian painter and architect of the High Renaissance. His work is admired for its clarity of form and ease of composition and for its visual achievement of the Neoplatonic ideal of human grandeur. Together with Michelangelo and Leonardo da Vinci, he forms the traditional trinity of great masters of that period. It was “exceptional” at this period to show the sitter so evidently in a particular mood – here lost in thought. The intimacy of this image was unprecedented in Papal portraiture, but became the model, “what became virtually a formula“, followed by most future painters. For many years, a version of the painting which now hangs in the Uffizi Gallery was believed to be the original, but in 1970 opinion shifted. 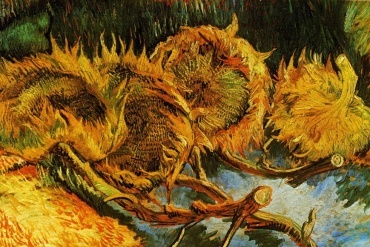 The original is currently believed to be the version hanging in the National Gallery, London. 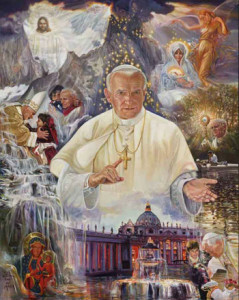 With such great Pope Portraiture as a foundation who will be the next modern artist to paint Francis? Next articleSeasonal Beauties – Which is your seasonal wonderland?